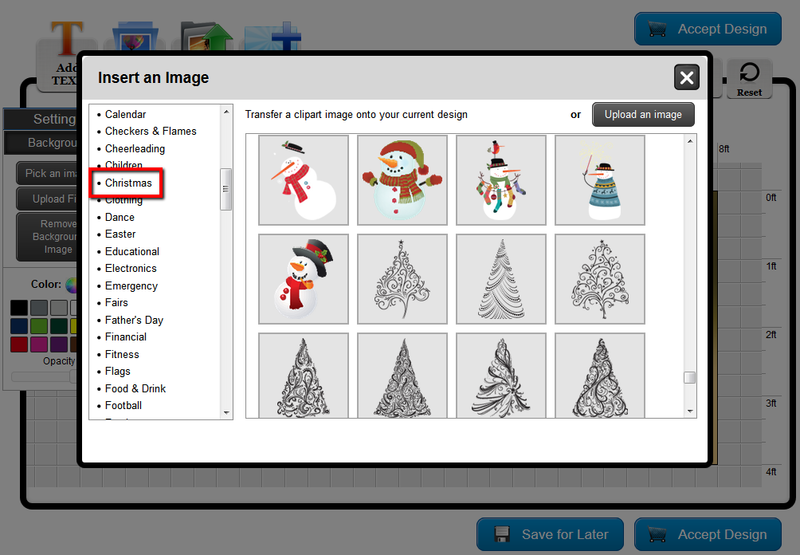 We've Added New Christmas Clip Art and Backgrounds! Christmas is approaching quickly but there's still time to get all of your holiday signage at Banners.com! 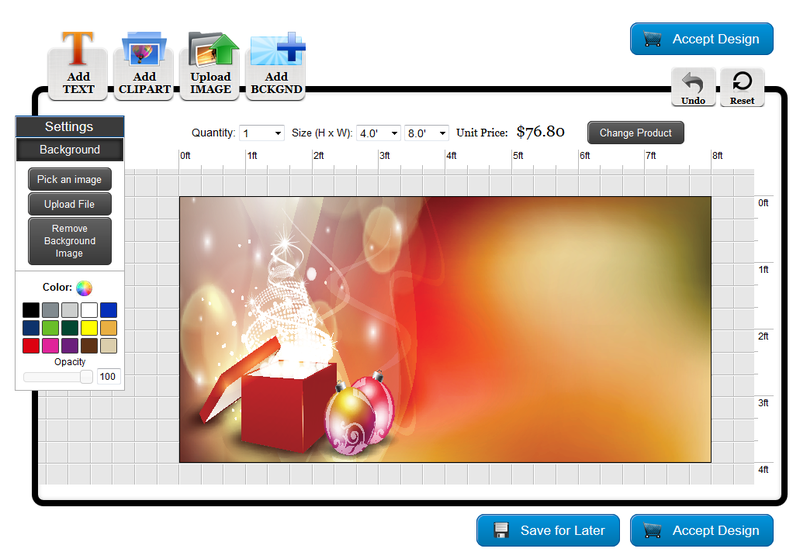 This year we've added a bunch of new Christmas backgrounds and clip art images to our online designer. We have several templates ready to customize, or you can start with a blank template and design your own banner from scratch! Add any clip art images you like - be as creative as you want! You can also add unlimited text from our font library and adjust the color any way you'd like. Click here to see some of our Christmas products. 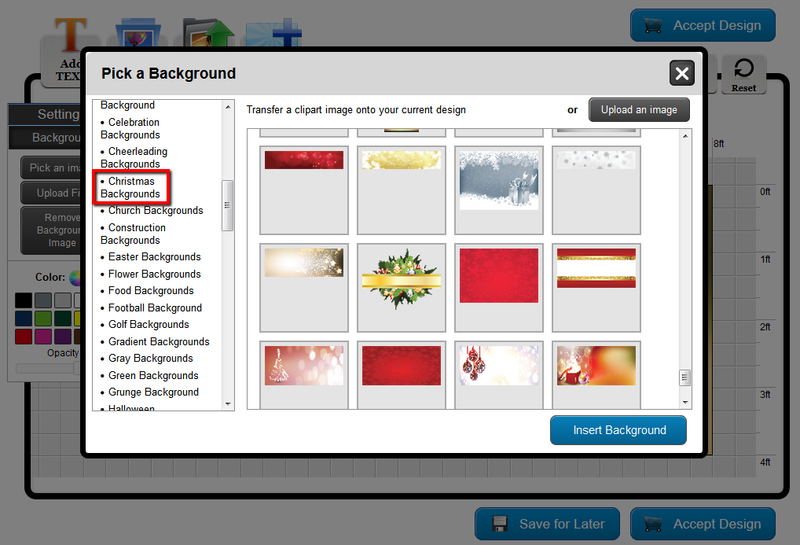 We have hundreds of Christmas backgrounds and clip art images to choose from, so have some fun in our Online Designer and see what you can come up with! As always, our graphic designers are available to help you with any design questions you have. 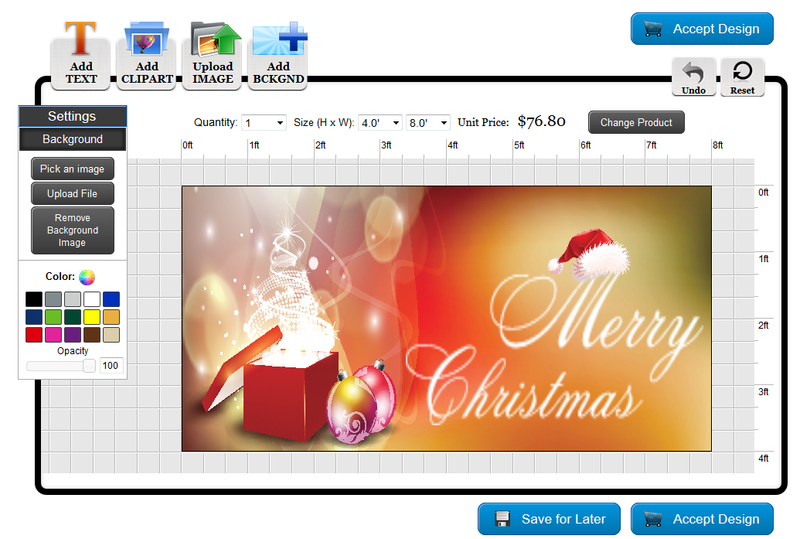 Merry Christmas from all of us at Banners.com!